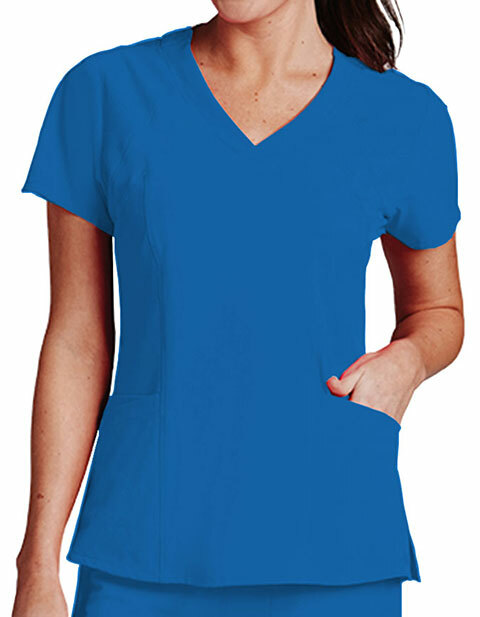 This Barco One Women 4-Pocket V-Neck Scrub Top is made for medical professionals for their busy and and hectic day at work. 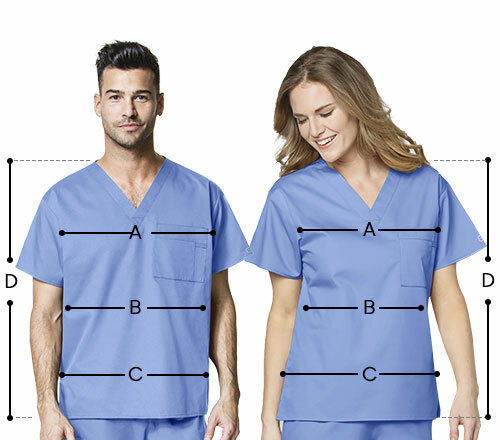 It's functional features include v-neck, princess seaming and perforated panel details for a relaxing and carefree day at work. It also features four roomy pockets where you can store all your belongings. It's fabric is made up of 50% polyester/43% recycled polyester/7% spandex that is comfortable and durable to wear. Center back length: 25.5"
Princess seaming with perforated panel details in front and back.